Convertibles are a celebration of everything we love about cars. They're far from practical and aren't exactly the sharpest performance machines money can buy. But like all good things in life you put up with a few irritants in exchange for the unbridled joy you crave. And when it comes to cars, nothing offers the ego massaging, feel awesome factor of folding your roof away, feeling the sun singe your skin and filling your ears with a glorious soundtrack. It truly is an elevated, albeit alarmingly fast state of nirvana. Naturally, the obvious thing was to drive a trio of convertibles to one of our favourite roads. And proceed to drive many times up and down it. We have to stress that this is not a direct comparison test. So before you get in a tizzy with the emails and comments, yes the Jaguar costs more than the collective price of the BMW Z4 and the Porsche Boxster S. But then no one's winning prizes for VFM here, we simply went out to have a great time in three convertibles at three price points. So sit back, enjoy reading about these three gorgeous machines and find out which we'd personally buy when pigs begin to fly. I happen to live closest to the JLR showroom in Mumbai so it was me who turned up at the crack of dawn to pick up the car from the rather skeptical security guard. All semblances of grogginess vanished the moment the cover was taken off the car and both Sawantji and I stood there gawking at the thing for a good minute despite the fact that we're both rather familiar with it. This isn't just a good looking car, it's a modern icon. It may be the spiritual successor to the legendary E-Type but it's not an overtly retro design. The front end is feline but also masculine with that protruding oval grille giving it a very sporty stance. The design flows into strong rear wheel arches without unnecessary curves and creases. The rear is much more squared off and muscular with slim taillights that only accentuate the strong profile. It's a contradiction to the rest of the design but it definitely works, especially with those quad exhausts housed in a massive diffuser. It's the type of car that makes knees buckle and moans escape. The interiors are considerably special when you consider that they are unique ? no other Jag shares the design. The theme is all black with a garnish of chrome on the knobs. The row of toggle switches looks cool and is nice to use as well. 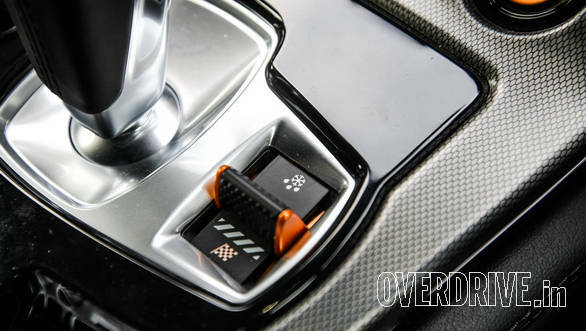 Jaguar has dropped the fancy rotating gear selector for a more practical and sporty looking shifter that's similar to the fixed pivot units you find in a BMW. The trick rotating air vents from the XF have been replaced with fixed ones but now the air vent panel emerges from the dash board when you start the car. 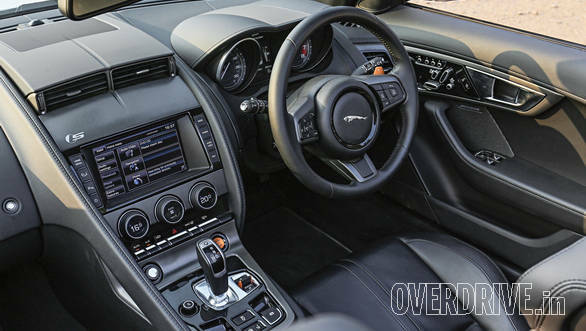 No Jag would be complete without some quintessential British quirkiness, which is why the Start button, DSC mode button and plastic paddle shifters are finished in dull gold. This emulates an aircraft cabin where the important controls are colour highlighted. However the coolest feature has to be the start-stop button whose red glow intensifies and fades like a heartbeat. 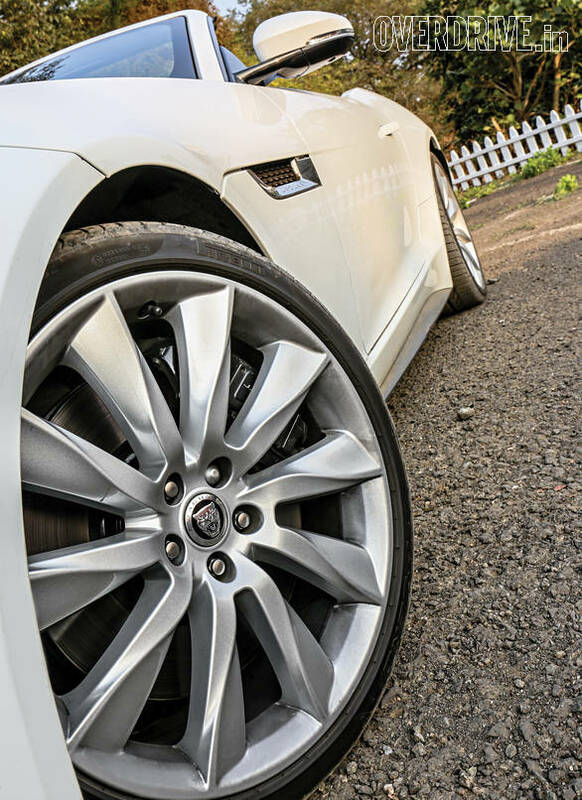 The F-Type feels alive even before you start it! Having driven the F-Type all the way to 19 Degrees North in Aamby Valley where the shoot was going to happen, I was already rather enamoured with it. Naturally the Jaguar was going to be the best looking car of the lot. But then I pulled up alongside the red Porsche Boxster S and suddenly felt conflicted. 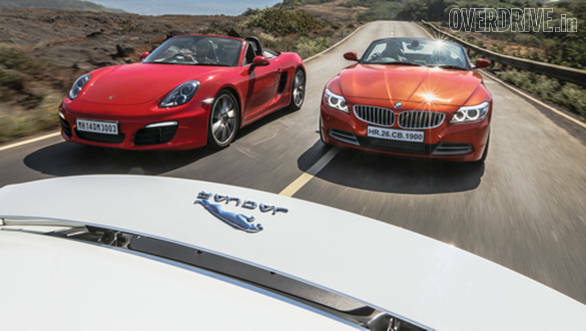 Where both the Jaguar and BMW are handsome sports cars, the Boxster leans more to the supercar side of the design curve. That's because unlike the other two front-engined cars, the Boxster has a midship design where the engine sits right behind the passenger cabin. This allows the curvaceous nose to sit a tantalising few inches lower than the other two, resulting in a wonderfully sleek and flowing design. The 918-style vertically stacked headlamps look macho, while those gaping intakes along the side reiterate the exotic engine placement. It also has an exquisite set of 20-inch wheels that are accentuated by cross drilled brake rotors and big red calipers. The rear is dominated by beautiful LED lamps that house the movable spoiler when it isn't required, keeping the design clutter-free. 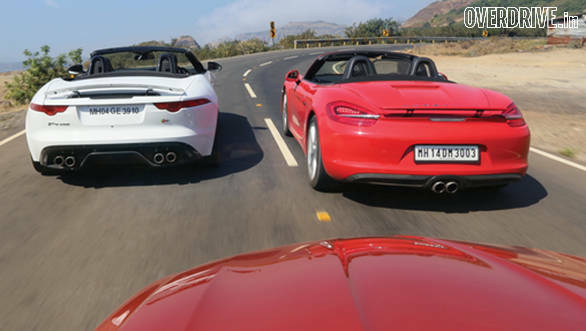 The Boxster really looks the business and despite days of pondering, I simply can't choose between the Jaguar's butch handsomeness and the Porsche's gorgeous curves. Both the Porsche and Jaguar have great cabin designs, but the Porsche is more restrained with a slimmer and compact centre console. What catches your eye is how the details follow a theme. The paddle shifters, seat adjusters, door handles and dashboard trim are all finished in satin metal that wonderfully offsets the black cabin. The buttons and knobs have great feedback while the cabin feels solid and built to last. The clutter of buttons on the centre console looks tedious, but then the Boxster is the only one without any buttons on the wheel. Which helps focus on the important business of thrashing it down a mountain road. Launched in November last year, the Z4 is the newest car here. But in reality it's actually the oldest, having been around since 2008, while the current Boxster broke cover in 2012 and the Jaguar in mid-2013. Fortunately, the BMW looks anything but old with its classic roadster proportions, long nose and rear set cabin. That nose looks quite intimidating and extends over seven feet ahead of the steering wheel. 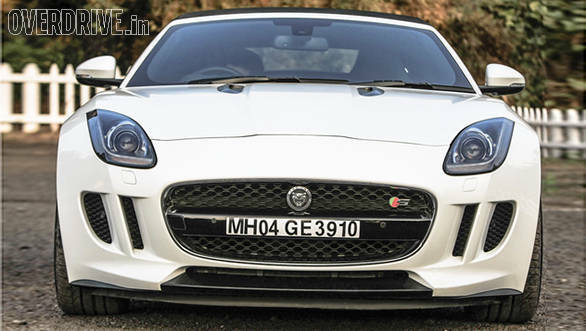 What's surprising though is that the Jag's front end extends equally far and even the compact looking Boxster has six and a half feet of metal ahead of the steering wheel. By comparison your average Swift spans just about five feet. Even more surprising is that the BMW is actually the shortest and narrowest car here. Just shows how good design can mask bulk. What the Bimmer sports over the others is a proper folding metal roof and there are both good and bad sides to this. The positive is that it gives the car a more complete look but the downside is that it takes far too long to fold away. Pleasantly, even with the roof down the BMW offers more boot space than the impractical Jag. But then the F-Type is the only one that offers a space saver spare tyre. 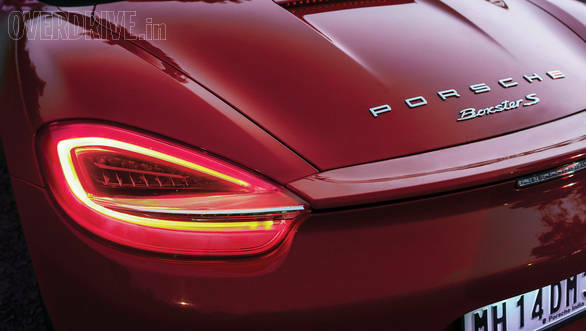 However, the Porsche is the practical one  the mid engine layout creates usable storage capacity? 150 litres in the front and 130 at the rear give it more space than some hatchbacks. Weekend getaways are actually possible with the Boxster without having to courier your luggage ahead. 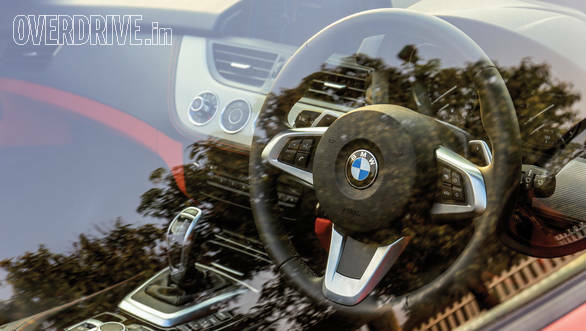 The BMW has interesting interiors with a woven metal finish on the dashboard while circular controls nicely differentiate it from the rest of the BMW line-up. There's plenty of alcantara and orange trim all around that looks rather nice. The one eyesore was the orange and shiny silver trim down the seats that belongs more on flashy Rajasthani furniture, not a German sports convertible. Thankfully it's an option you can drop. 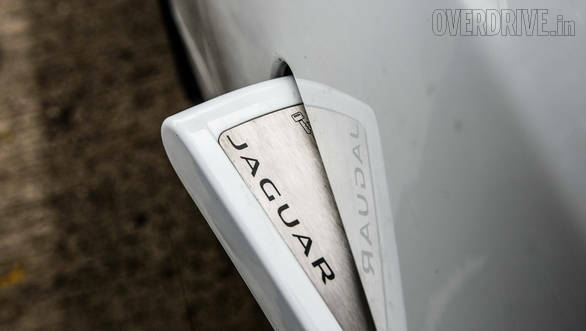 One of the most memorable parts of the F-Type is the exhaust note  it simply sounds evil. We should be testing the V6 but JLR India can only give us the big V8S so that's what we'll be driving. The 5.0-litre supercharged V8 barks into life and the slightest prod of the throttle causes the revs to rise quickly and very vocally. On the go, especially with the top down, the note is loud, harsh and screaming at the 7000rpm redline with massive popping and crackling on the over run. It's glorious, dirty, exciting and terrifying all at once. Lifting off half way through the rev range creates loud whip cracking noises that send shivers through your very core. It's a noise you just can't get enough of; a noise that brings out a complete hooligan even in the most sorted of folks. So it looks fantastic, sounds like it clawed its way out of hell and has a comfy and luxurious interior. But what's it like to drive? Simply put, it feels like a refined version of the violent XKR-S. Picture a XKR-S that had a haircut and shave, hit the gym and suited up. At low speeds the car is refined and easy. The active exhaust only opens up after about 4000rpm and below that you get a smooth V8 note with a hint of supercharger whine. Noise insulation is very good, even at high speeds. But when you ask for it the F-Type turns into a monster. The 500PS/623Nm engine offers massive propulsion from any revs. There's so much torque that Jaguar says launch control isn't necessary as the most optimum way to launch the car is just above idle! We managed a 4.6 second to 100kmph which is over a second faster than the other two, despite the struggle to put power down. Where you really feel the grunt is during in-gear acceleration. So monumental is the shove that a small prod of the throttle on the highway will take you from an already unmentionable velocity to 'go to jail for life' speeds in a matter of seconds. It's that fast. 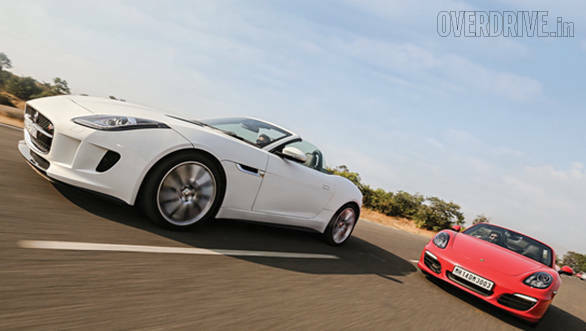 On paper, the F-Type has two disadvantages. One is that it has a conventional 8-speed auto as against the 7-speed dual clutch boxes in the other two. The other, perhaps more worrying issue is that it's rather hefty at 1,665kg. Despite the fancy all-aluminium construction it's 160kg heavier than the BMW and a whole 315kg more than the welterweight Porsche. However, the gearbox immediately impresses with quick shifts that are accompanied by a small but enjoyable jolt. Up and downshifts arrive when requested and there's nothing to complain about. On the other hand, the extra weight can be felt. At reasonably high speeds the Jag turns in beautifully, but when you start pushing it, the front end wants to wash wide just before the power overwhelms the rear. As a result, you have mild understeer that transitions to huge oversteer  ESP is best left on unless you're on a track with plenty of run-offs. After about 10km of hard mountain driving the brakes started to fade as well thanks to the heavy V8 upfront. The smart way to drive the F-Type is slow and smooth into the corners and then letting the engine blast you out. It's extremely exciting and mildly deafening. After the snarling muscle car that is the Jag, the Boxster S feels like a compact, sharp and precise revelation. The Porsche simply feels more connected, almost like the car is an extension of yourself. The big reason for this is the mid-engined layout and the light kerb weight of 1,350kg. With the engine sitting behind the passenger cabin the weight balance is near perfect. The Boxster has amazingly precise turn-in; you simply point it in the direction you want and it darts there. There's great mid-corner grip too and the poise through a corner simply has to be felt to be believed. It isn't just the best handling car here, but among the best in the world. The Boxster might have electric steering as against the hydraulic unit in the F-Type but it feels almost as nice with good weight, precision and feedback. The rev-happy 3.4-litre flat six is a joy. It's naturally aspirated but makes just 40Nm less than the BMW's twin turbo straight six, albeit much higher in the rev range. Couple this with 315PS of peak power at 6700rpm (7800rpm redline is the highest here) and you have a delicious power delivery with 360Nm of torque shoving you along before the power kicks in. The noise is a typical mechanical boxer blat but unlike the other two with engineered exhaust notes you can truly hear the engine hard at work in the Boxster. 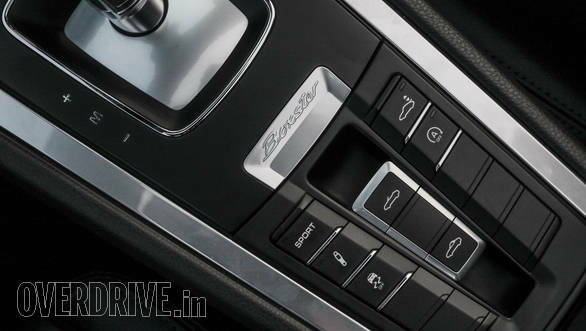 However, what really completes the package is the 7-speed PDK. It is simply the best gearbox I have ever experienced. Shifts are blisteringly quick and you get an immediate downshift on request, even if it means revving the engine into the redline. Downshifts are accompanied by a crisp blip of the throttle and the PDK also offers launch control. The gearbox is so competent that you can just stick it into Sport mode and it keeps you in the meat of the power band at all times. 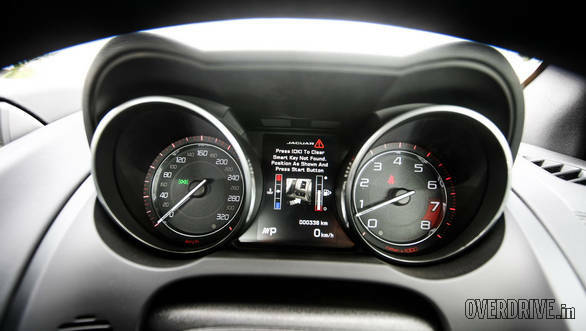 You will take a while to get used to the rocker style shifters where you push for a downshift and pull for an upshift. But then you'll appreciate how they allow up and downshifting with just one hand. If the system still doesn't work for you, Porsche will always sell you an optional sports wheel with conventional paddle shifters. Special mention needs to be made of the brakes. They aren't as sharp as the Jaguar at low speeds but offer the best feel and the most resilient performance. Unlike the F-Type, the Boxster kept shedding speed reassuringly all day long despite extended periods of considerable flogging. The BMW Z4 ended up being the surprise of the weekend. After driving the other two, we all secretly thought that the Z4 will be a little out of its element. But the large looking car felt enjoyably nimble and compact from behind the wheel. The light electrically assisted steering helps in Comfort mode but weights up nicely when the speeds rise or if you switch to Sport or Sport Plus modes. It doesn't have the same heft as the others and lacks a little feedback, but it is a pleasantly quick and direct system. With 306PS and 400Nm, the BMW motor makes slightly less power than the Porsche but it is marginally quicker to 100kmph. That's impressive given the porky 1505kg kerb weight. The 7-speed DCT is the same box you get in an M5, and while it can get a little jerky in traffic it performs flawlessly on the open road. It's not as loud as the Boxster but the engine makes a sweet in-line six roar. I find the sound a little artificial and bassy at low revs, but it opens up nicely after 2500rpm. The exhaust also produces a nice grating feeling through the floor boards under acceleration which gives the sound a very visceral sensation. Of all these cars the Z4 would have been the easiest and best daily driver, but it has one problem. While it handles really well on smooth tarmac the set up is far too stiff for our average roads. The car crashes through bumps and potholes with a sharpness that the already stiff Porsche and Jaguar don't exhibit. It is one of the stiffest cars we've experienced in a while and the harsh ride gets quite annoying while pottering around. The BMW sits 110mm above the ground, which is less than the F-Type's 116mm but more than the Boxster's 104mm. We never scraped any of them, but you have to inch all of them sideways over speed breakers and generally be careful at all times. After two days of hard driving and consuming scary amounts of fuel (the Jag went through nearly three tankfuls and returned less than 4kmpl!) we'd drawn something of a conclusion. Everyone was unanimously taken with the BMW. It's the most affordable car here, a real head turner and genuinely enjoyable on good surfaces. 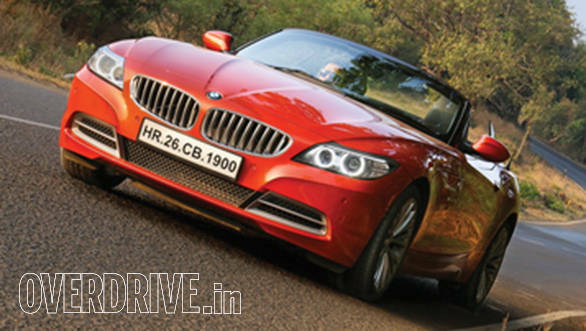 As an entry into the world of sport convertibles, the BMW gets the job done exceedingly well. What put us off is that it's a little too stiff for real world Indian driving. The Jag turned out to be a bit of a surprise. It's the most expensive, probably the best looking, and definitely the fastest car here. But that doesn't make it our favourite. 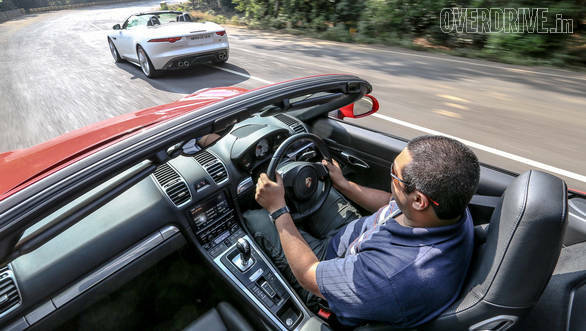 The F-Type is a hotrod and a supremely exciting one at that, but it marginally loses out to the Boxster S because it's simply not as special to drive. There's a famous phrase  'As pure as a Porsche', and the Boxster S is the finest explanation of what it means. The car looks fantastic, is proper quick and is as luxurious as it is sporting. 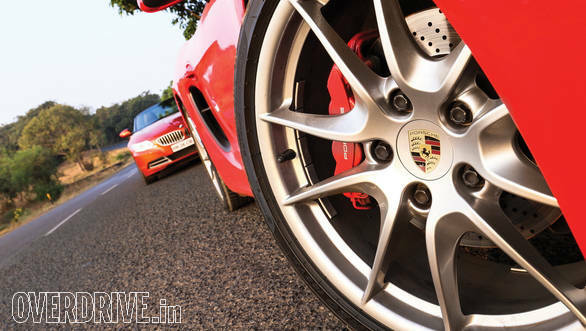 What seals the deal for the Porsche is that it is just so damn good to drive  it's almost telepathic. The exotic mid-engine layout gives it a dynamic brilliance that the others simply can't match. At the end of the day, these cars are meant to be driven and when it comes to driving pleasure the Boxster S is top trumps. It is a thrilling machine, so much so that price wasn't even a factor in it being the one we loved the most.